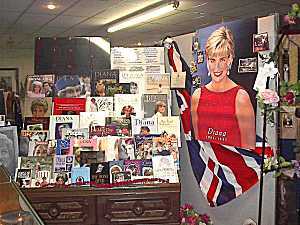 Also exhibited in the same building is the Princess Diana Memorial display, this is a private collection loaned to the Spirit of Peace Museum. If you liked the Princess you will like this exhibit. From dolls and books to stamps and postcards this exhibit has many different items including some that are very rare. 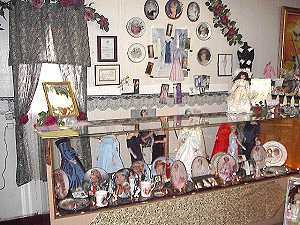 In the display cabinet are Princess Diana dolls, plates and cups, on the wall are Princess Diana plates and pictures of her dresses. These are the books about the Princess. 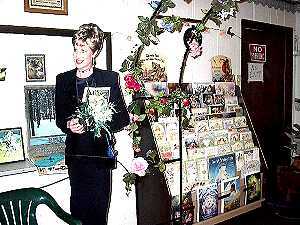 plus a large poster of her and a photograph of Chuck and Gloria outside Kensington Palace on the first anniversary of her death. A full sized standee of the princess welcomes visitors to the exhibit.